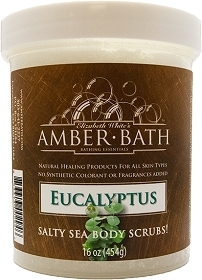 Our Salty Sea Scrubs nourish your skin with a combination of dead sea salts, coconut oil, vitamin E and essential oils. We offer many uplifting and stress relieving scents (all essential oils, of course). 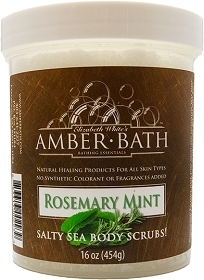 This salt scrub exfoliant will absorb the toxins from the skin and whisk them down the drain. Choose the one that suits your aroma-therapeutic needs. The exfoliating benefit is the same, so they leave your skin feeling as smooth as vegan butta. If you have any abrasions or scrapes on your legs, the salt may sting a little. 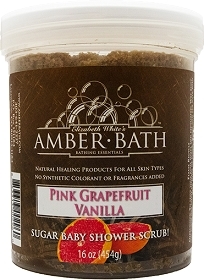 If you like less exfoliation, try our Sugar Baby Scrub instead. Lavender is a mild, therapeutic, and anti-inflammatory essential oil. It is the perfect oil to set your morning or evening mood right.  In Colorado's dry climate, it is imperative to keep your skin moisturized. These scrubs are the perfect remedy. I love to use the lavendar at night before bed. 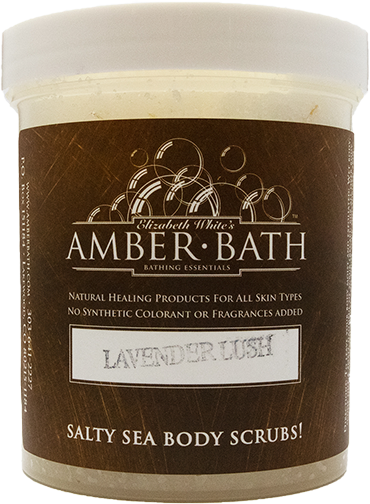 Draw a nice warm bath and just before crawling out and into bed, exfoliate and moisturize with this soothing Lavendar scrub. You will feel so good!